If you own or drive any type of vehicle, you should definitely learn how to change a tire. It doesn’t matter if you are a man or a woman, your car didn’t mind whether it is owned by a man or a woman either. Besides, getting a flat tire can happen to anyone, anytime and you can’t be sure if you will be near to a car shop or a gas station when that happens. Therefore, it is also part of your responsibility to bring around an extra tire while on the road. In other words, you should be a boy scout or a girl scout all the time. When the time comes that you need a tire change, never panic. 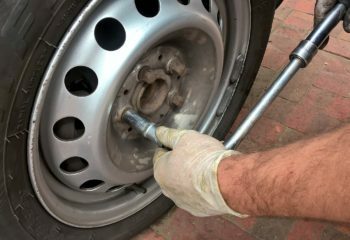 Stay focused on the wheel and take note of these 5 steps to change tire like a boss!